If you encountered this error when activating Kaspersky Free, there was likely either a DNS server malfunction on your Internet services provider’s side, or the DNS client service does not work on your computer. To fix the issue, restart the DNS service and change the DNS address in the network settings. In the Run window, type services.msc and click OK. In the Services window, check if DNS Client has started. If the service is not running, restart it. To do so, right-click on DNS Client in the list and select Restart from the shortcut menu. 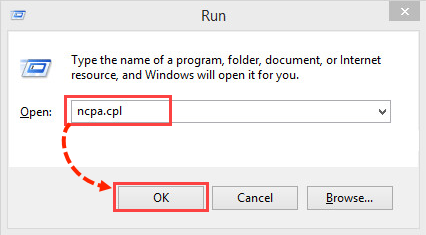 In the Run window, type ncpa.cpl and click OK. In the Network Connections window, right-click the required network connection and select Properties. In the Networking tab, select Internet Protocol Version 4 (TCP/IPv4) and click Properties. In the Ethernet Properties window, click OK.